Obsessed with Scrapbooking: Don't Miss this - new 50% off items! Don't Miss this - new 50% off items! 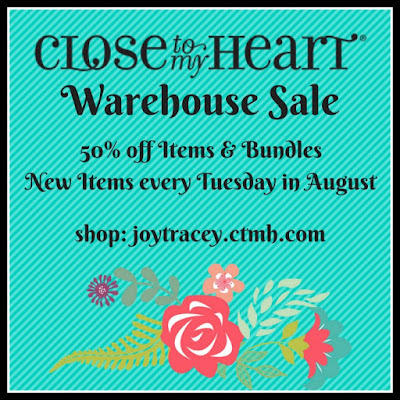 Close to My Heart is having a warehouse sale this August! Every Tuesday in August, Close to My Heart will upload fresh items and bundles at 50% off! These items and bundles will be made up of retired products. It's a "while supplies last" deal.